These striking figures were inspired in the carving style and in the color tones by the old masters of northern Italy, where the crafting of sacred art and sculpture is a way of life. The beautiful faces, traditional colors, and the marvelous attention to detail will capture your eye and your heart. 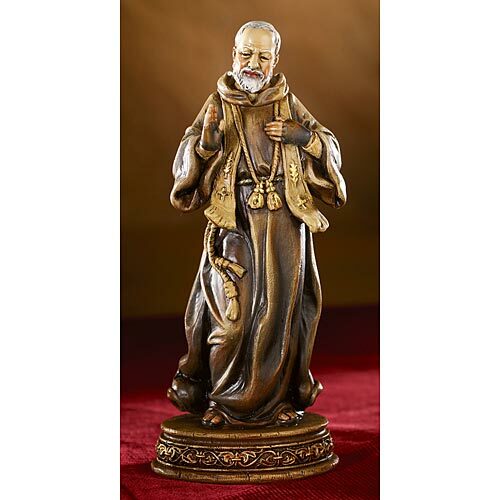 Each 6 inch statue makes the perfect gift for those with a strong devotional to a particular saint.